This type of portrait can be linked to the aristocratic ideal that emerged early in the 16th century in Renaissance Italy. 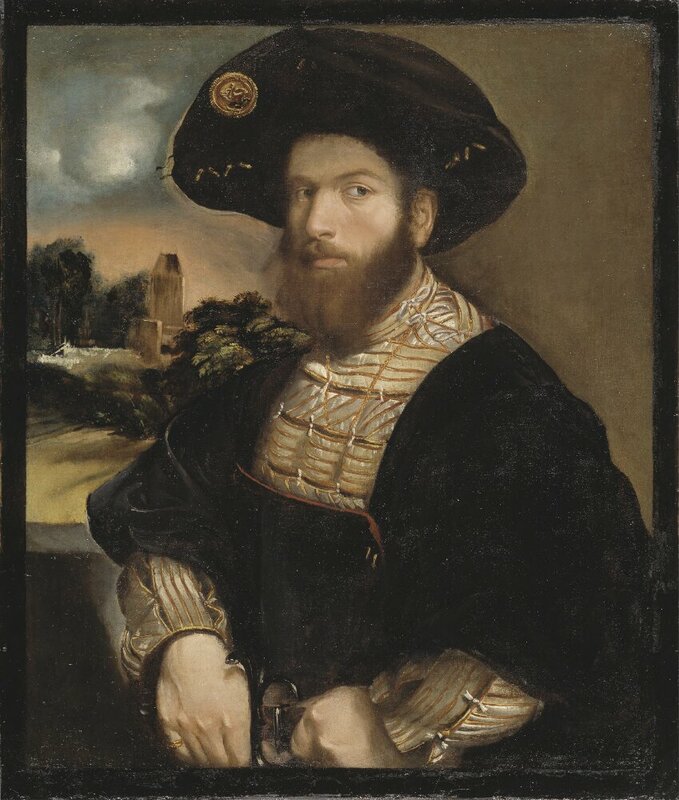 It was an ideal described in Baldassare Castiglione’s famous book The Courtier (1528) and captured in images by Italian painters such as Raphael, Titian or, as here, Dosso Dossi. In this painting the subject, in a characteristic beard, elegant costume and hat, leans at an open window overlooking a landscape. The work was part of the art collection of the abdicated Queen Christina in Rome.